This week has been an up and down week for me. It is not very often that I don't feel very well but this week the bug got me! Thankfully today I am feeling a lot more myself and am planning today's bakes! 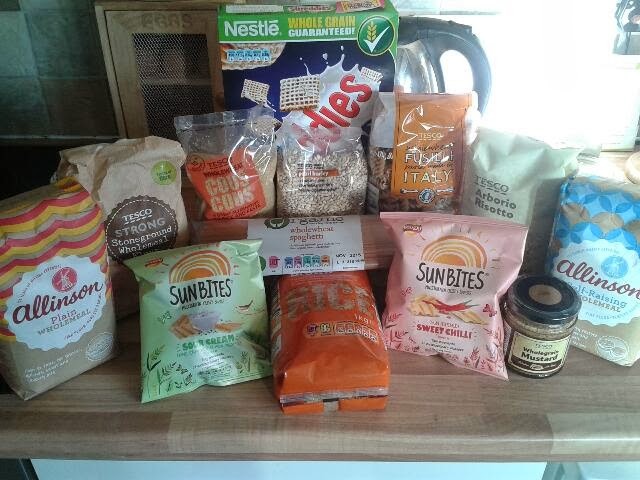 Monday was day 1 of our Wholegrain Goodness Challenge. The challenge is for 2 weeks we eat at least 1 of the recommended 3 servings of wholegrain a day. I planned the weeks meals and I included one serving in every evening meal for the next 2 weeks. We also have wholemeal snacks and wholemeal breakfast cereal. I will be baking a wholemeal cake this week which should be just as yummy!! Now that the twins are bigger their nap mid morning is getting shorter. This was always my time to catch up on a bit of tv whilst doing the ironing. 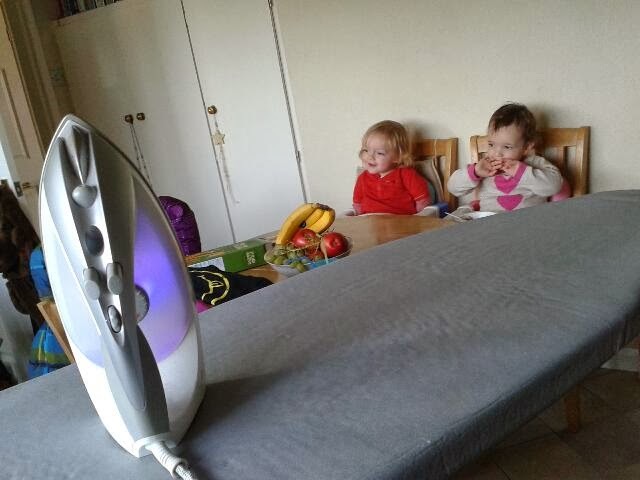 On Tuesday I got the ironing out and managed to iron 4 items before Isabella was shouting. So I tried a new ironing time and it worked really well. Now that the twins can more or less feed themselves I am going to get my ironing done then and just have a late lunch. I feel like Tuesday was a productive day and am pleased I've thought of a way round the ironing problem! Wednesday was the day I started to not feel good! The hubby wasn't well last week and it seems that he has passed it on to me! I've got too much to do to get ill so I was not happy. 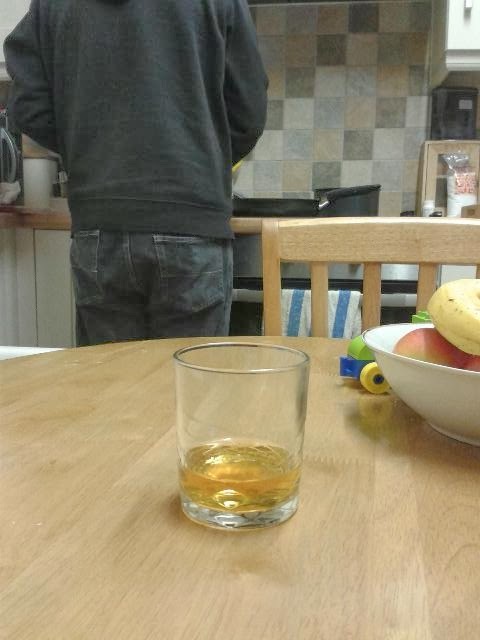 Hubby came home, got me a drink for medicinal purposes, told me to sit down and took over cooking the tea. This had to be my picture for today as I don't let him in the kitchen much these days! But I was thankful that he took over! On Thursday I was still not feeling very well. If anything I'm felt worse. 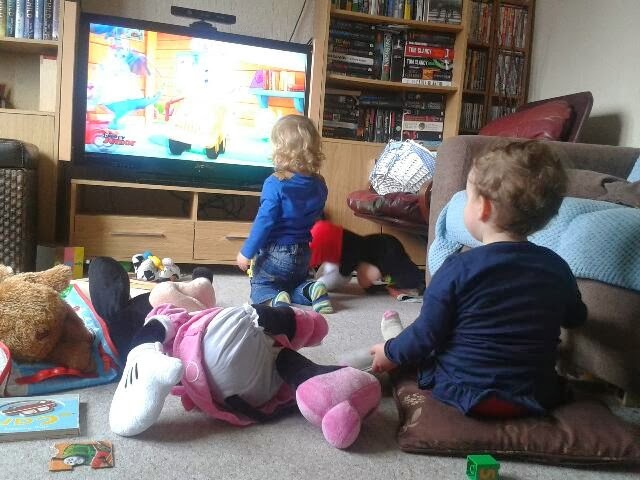 So on Thursday Disney Junior was my best friend and helped me with the twins! Who I have got to say were both really good! My mum even went to pick Joseph up from school so I could rest a little! On Friday I still wasn't feeling great so to try and cheer myself up a bit I did some baking! I hadn't fancied much food but thought that some flapjack would go down well. 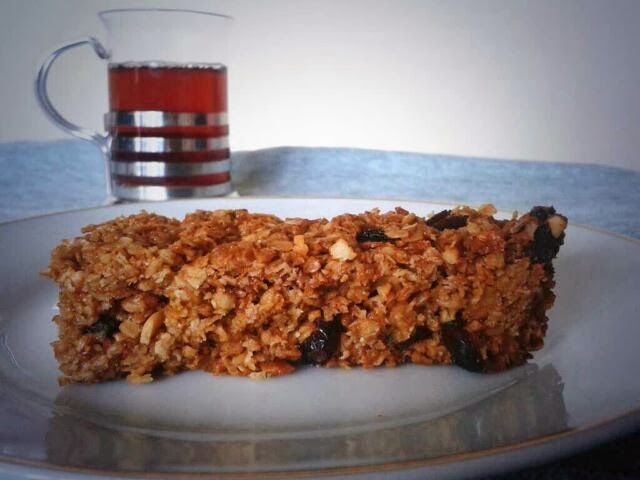 I made dried fruit with cranberries, apricots and hazelnut flapjack. I will be sharing this delicious recipe in the week. As I thought it would, it went down a treat and is delicious with a cup of Earl Grey! As it was Burns Night we went all Scottish on Saturday night! 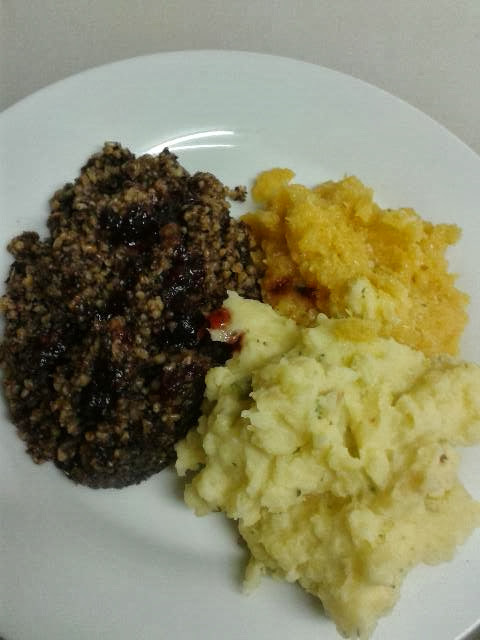 We enjoyed haggis, tatties and neeps and finished with a cranachan with raspberries and blueberries for dessert. It certainly was a delicious Scottish inspired meal that was washed down with a wee dram or two of Caribbean Cask Balvenie whisky! This is a rare picture that I took today of Joseph and I. 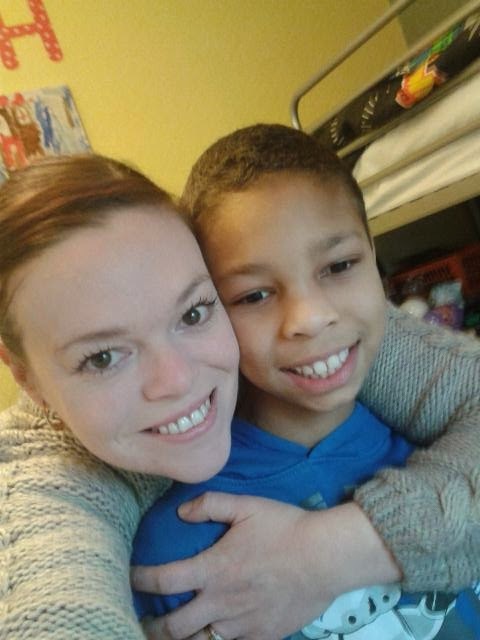 These days whenever I say "let's take a pic" it comes out with Joseph pulling a funny face or doing a fake "do I really have to have my picture taken" smile! Ironing? I've pretty much given up on ironing since Busby was born ;) The photo of you and Joseph is lovely! Hope you're feeling better now! Slightly confused with the iron...what is it ;) I never have time! so sorry you have been feeling ill - its not easy being ill when you are a mum is it?